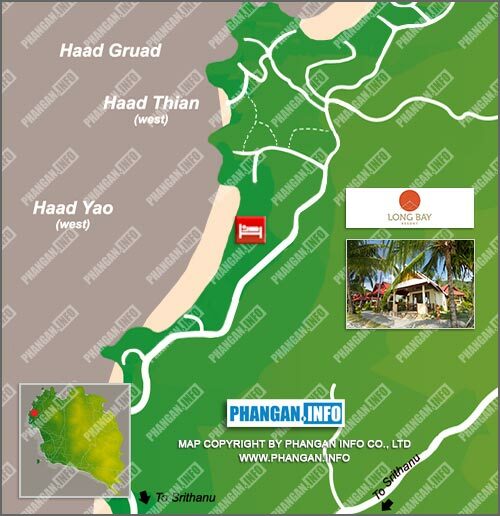 Haad Yao is situated on the west coast of Koh Phangan in between Koh Ma and the fishing village Sri Thanu. It is about 15 minutes drive from Thongsala, the main port, on a newly completed concrete road network. Haad Yao can also be accessed from the north as well on a new dirt track that should only be attempted by experienced motorbike riders or in a 4WD Jeep. Taxis regularly go to Haad Yao from Thong Sala Pier and Haad Rin Pier.